This workshop introduces needle lacemaking with stainless steel wire and covers basic steps of handling wire, using basic stitches (single, double, underlined and bars), adding beads and finishing. Two designs to choose from; both can be finished as pendants. One intensive session – 8 hrs of instruction. 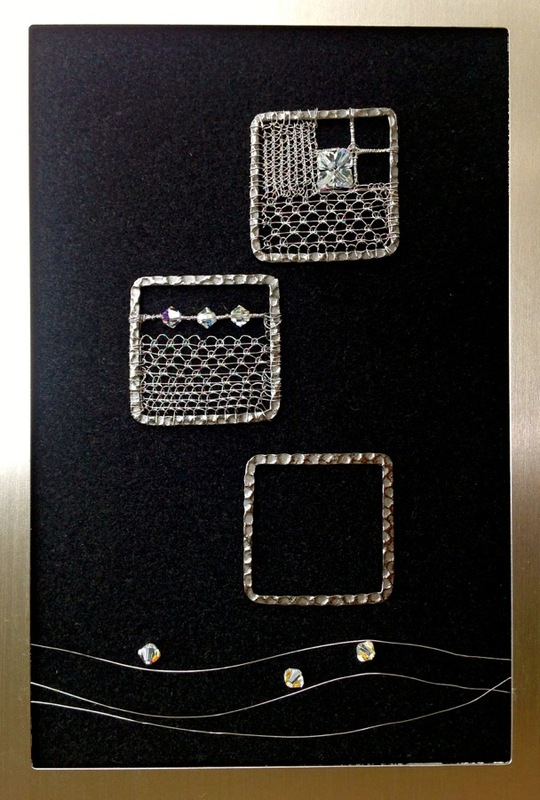 Series of three intensive workshops for beginners to introduce needle lace technique in wire – copper, stainless steel and silver. Instruction will cover basic stitches, building patterns, working with different wires and finishing. Main goal of the series is to equip lacemakers with skill and understanding of small scale needle lace techniques, so they can create their own designs and make lace jewellery or delicate lace art. 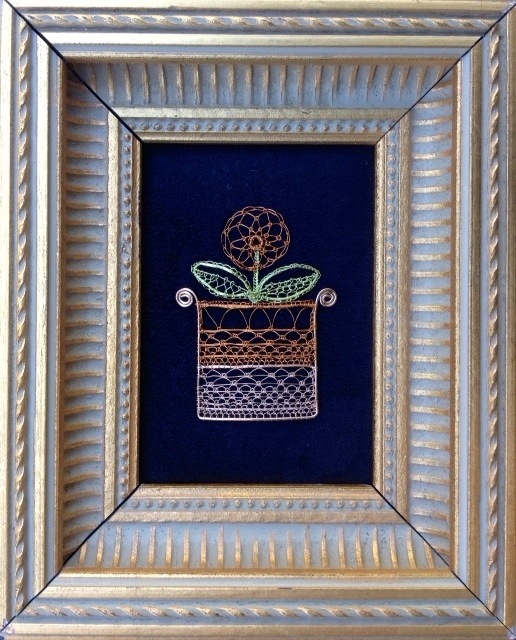 This workshop introduces needle lacemaking in copper wire and explains how to build patterns from basic stitches, within and without a frame. This workshop introduces needle lacemaking with stainless steel wire and explains how to choose and adapt patterns to fit the medium, how to add beads or focal elements and how to finish pieces as wearable art. 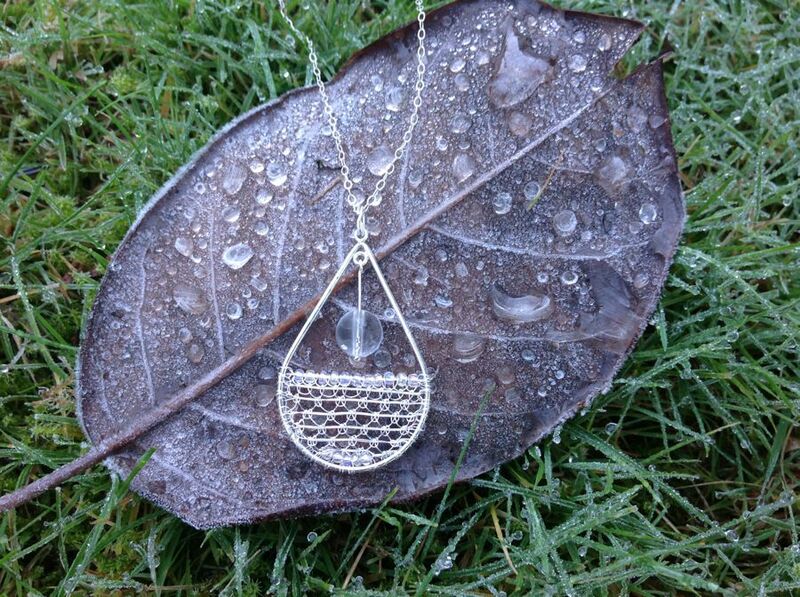 This workshop introduces needle lacemaking in silver wire and explains how to select and adapt patterns to fit the medium, how to add beads or focal elements, how to finish pieces as wearable art, and how to care for fine silver lace jewellery. 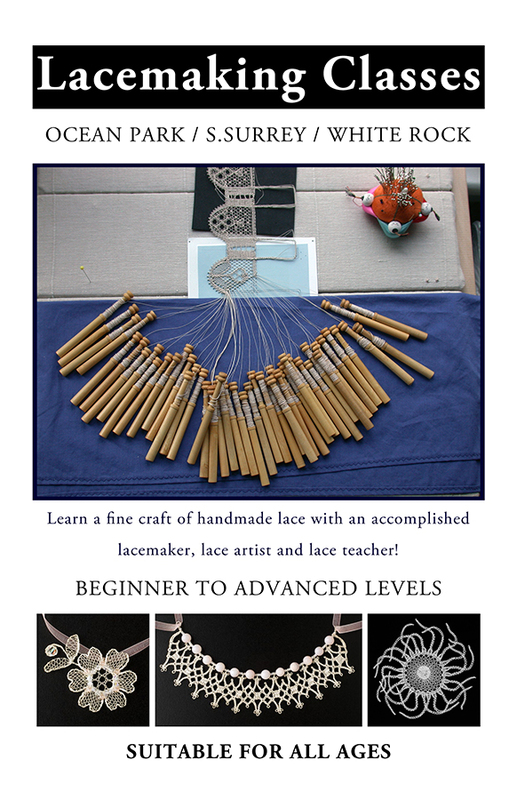 Introduction to handmade bobbin lace covers the first steps in lacemaking, that are surprisingly easy. Just two basic moves open door to endless variety of patterns! 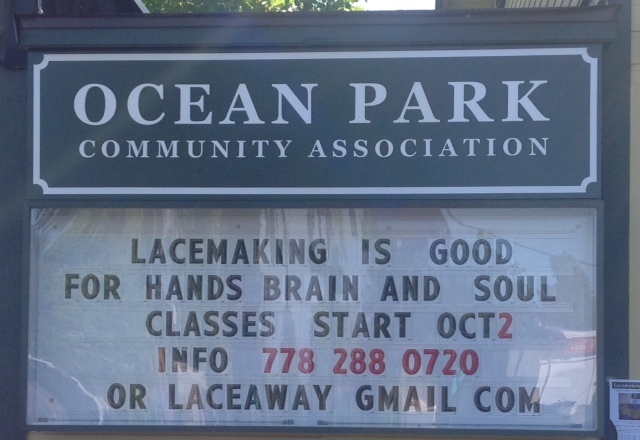 Gradual instruction accommodates thorough understanding and promotes acquisition of good lacemaking habits. Each lacemaker gets individual attention and instruction takes in account different learning styles. Topics covered in the first course include: introduction to lacemaking tools and materials, winding thread on bobbins, basic steps of cross and twist, basic stitches – – cloth stitch, half stitch, whole stitch; footside and headside; braids and picots. 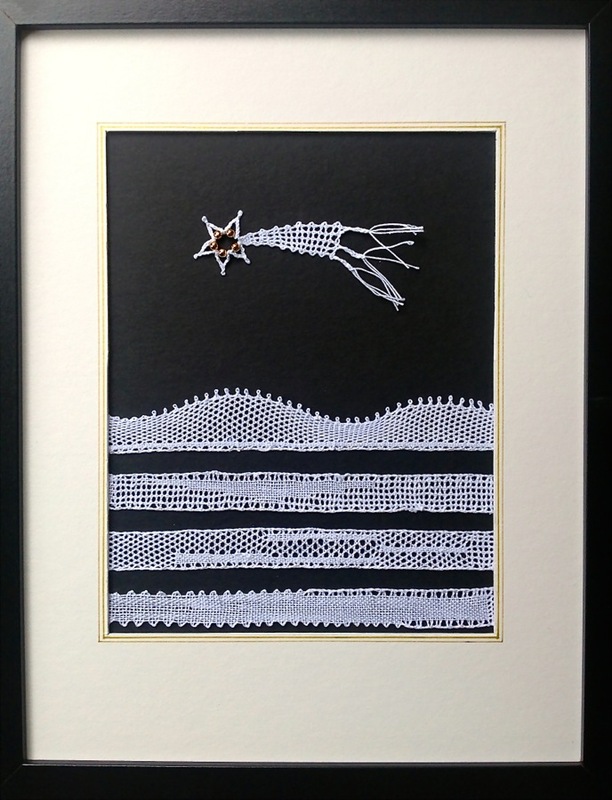 Finished class project can be framed as a lace picture or a special Christmas greeting card. Lacemaking craft belongs to families, and is a lot of fun when shared and enjoyed together. This promotion is designed to encourage two generation double teams to take up lacemaking together: mother-daughter, grandma-granddaughter, aunt-niece, or even friends and neighbours – as long as they are a generation apart. Even the equipment can be shared, or each team member can get own kit. Introduction to handmade bobbin lace covers the first steps in lacemaking, that are surprisingly easy. Gradual instruction promotes thorough understanding and acquiring good lacemaking habits. Finished class project can be framed as a lace picture or a special Christmas greeting card. Lacemaking kit for beginners consist of lacemaking pillow, lacemaking bobbins, 2 cover cloths, pins, lacemaking thread, and a carry bag. All tools are good quality, imported from Europe or made locally. The pillow and bobbins will last and accommodate many lacemaking projects. Payment for the tools is required with registration. If you decide not to pursue lacemaking further after completing the first course, you can return the kit, and if it is in good condition, I will refund 80% of the original cost. That way, you just paid $30.00 rental fee for the equipment. 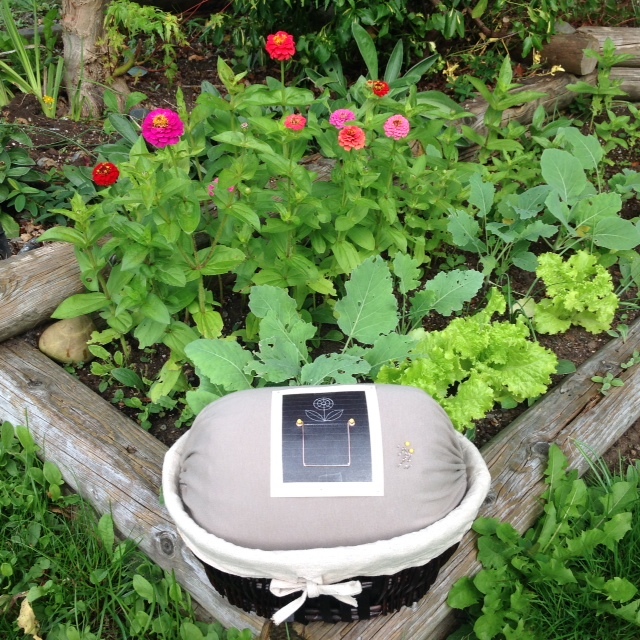 I believe in fair trade and sustainability and I feel this arrangement promotes responsible use of resources.